Q4. 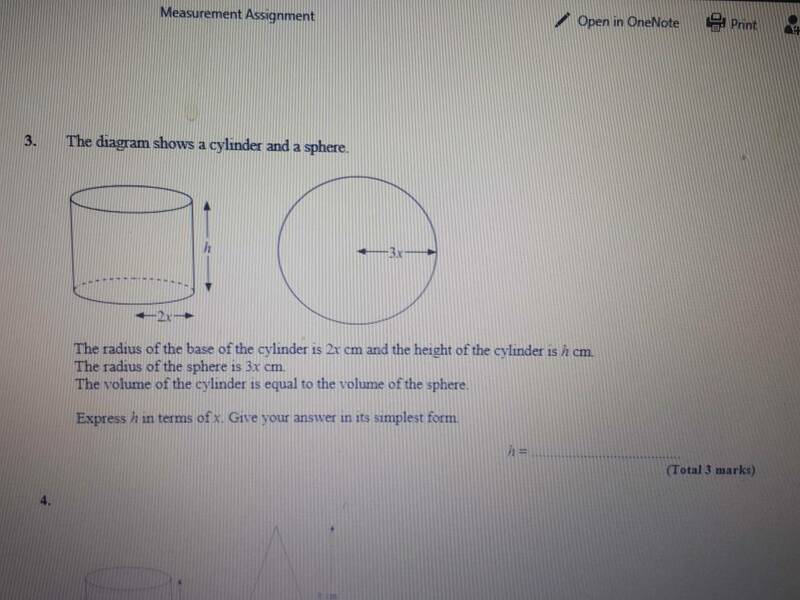 What is the volume of the cylinder (in terms of x)? 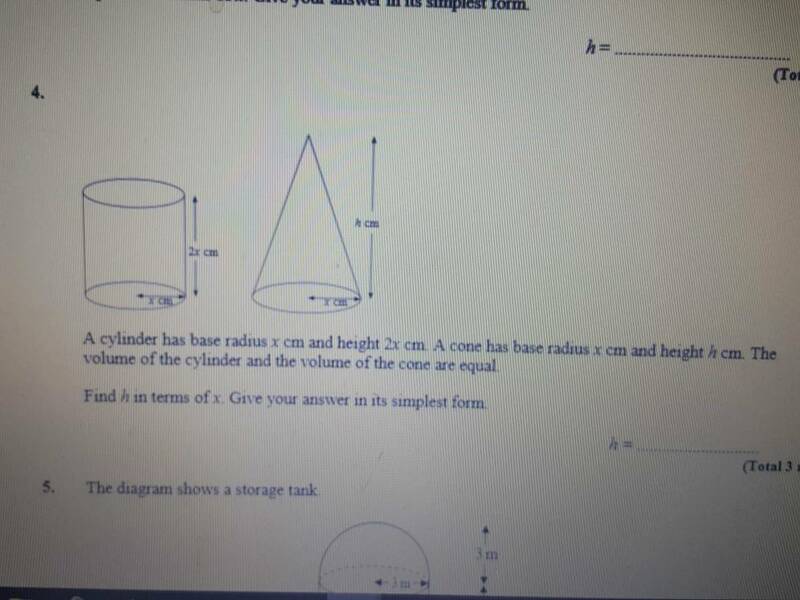 What is the volume of the cone (in terms of x and h)? These are equal so set them equal and rearrange to find h in terms of x. Give it a go and come back if you need more help. Same approach needed in Q3. Trig equation help, along with general question about Trig problems.